Your behavior and attitude depends on your home environment and for that it should be neat and clean all the time and should give an aesthetic look. The very first thing you will see while returning from office is the floor. If you are thinking that your floor needs be changed and you want to add some texture and color to your floor then it will be best to take the help of floor polishing services. In spite of regular cleaning, you have seen the layer of dirt that develops with time. It is very common and the dirt mixed in the water makes the layer thicker over time. 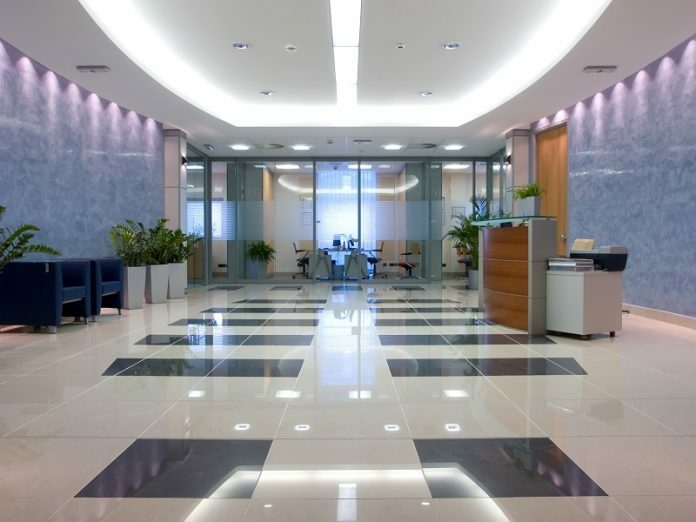 Nowadays many companies offer professional floor polishing services to cleanse all the grime and dirt from your floor. 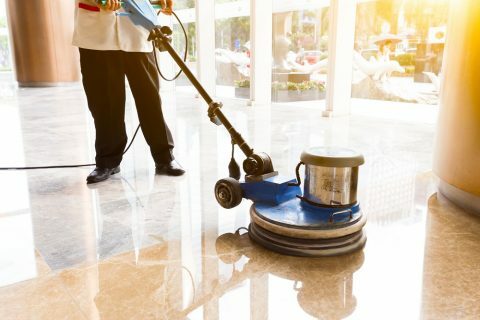 Professional services use an accurate abrasive pad, single disc machine, water and PH neutral cleaner to polish the floor giving it a new appearance. Floor polishing services can be done on different types of floors including marble, wooden flooring, mosaic, tiles and granite flooring. The discussion will help you to understand the necessity of floor polishing services and the benefits of the same. Nowadays, you can easily get professional floor polishing services at your doorsteps. Though you can do it yourself but it is recommend that you should hire professional services to cleanse your floor and make it new again. If your floor is made of marble or other stones then it is important to follow proper guidelines to clean the floor. If you know the guidelines you can do it yourself but if you don’t have an idea then it would be better to call professional services to handle the task. It would be a wise decision as you can enjoy multiple advantages at a time. Safeguard your floor from toxic chemicals that harm the flooring. Marble titles are highly reactive to acidic components and when you call a professional, they will take care of your flooring at the best. Professional floor polishing will give your floor a new appearance and it will last longer. There are many advantages of professional floor polishing services and the discussion will highlight the same. If you are interested to know the advantages of floor polishing, please go through the article. Regain the Original Shine of Your Floor: We have seen how a new floor shines all the time; however, it loses the shine gradually over time. You might be thinking that you have cleaned it every day and how could it happen. To be practical, when we clean the dirt with water, it is impossible to clean entirely as some dirt remains in the water and it gradually creates a layer of dirt on your floor affecting the shine making it a bad exterior. A professional floor polishing service can help you to get back the lost shine of your wooden, marble or granite flooring easily. If your floors seem dirty, it is time to call the professional floor polishing service to your house. Removes Etch Marks: You might be worried about the etch marks on the floors that are seen on certain types of marble tiles. It results from the use of toxic and harsh household cleaning agents on the floor while cleaning. Professional floor polishing service efficiently removes all the etch marks on the floor making it look alike a new one once again. Convenience: Professional floor cleaning services are much convenient compared to DIY. 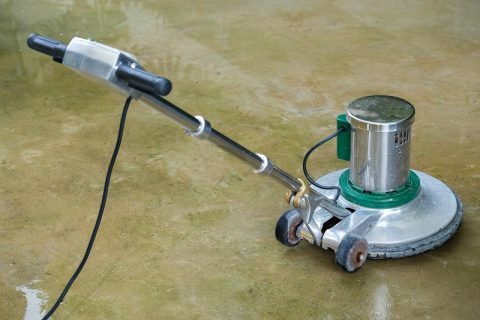 Now you don’t have to waste your valuable time searching for the guidelines and watching DIY video tutorials on the internet, you can find many floor polishing services near your locality and you should call them to ask for a free quote. 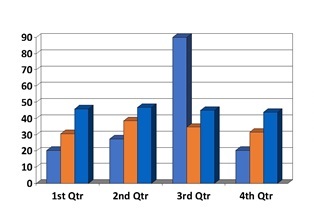 Professional service providers offer above mentioned benefits and there are many more. If you are searching for floor cleaning techniques, here is an easy solution and you should check it out. You can also write us back and share your feedback on the same. I am Kate Westall, a freelance writer and a professional blogger, who enjoys enlightening others about unknown and little-known facts. I love to write on all general and professional topics like home improvement. Follow me on social media to know more. It’s good to know that floor polishing will protect your floor from toxic chemicals, like you said. I’ll have to start doing that to my hardwood floors. I want to protect them and keep them looking nice for as long as possible. Thanks for explaining that professional floor polishers can make a floor look new by removing the etch marks. My husband and I want to have the ground floor of our home remodeled soon, and we’ve been trying to decide on a material for the floors. I really like the look of marble floors, but I was worried about them getting damaged or scratched. I’m really glad to hear any damage can be taken care of by professional floor polishers.